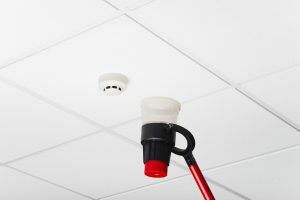 Many people can let fire alarms slip from their mind, as they are often an aspect of the property that can go unnoticed. Don’t let your alarm system slip your mind and keep your premises and the people inside safe with one of Sussex Alarms Limited’s professionally installed and maintained fire alarms systems. 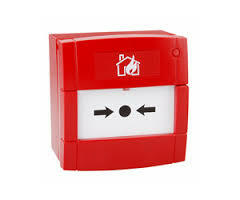 With a wealth of experience installing and maintaining fire alarms, you can rely on us for a high quality service. Following an extensive assessment (provided free of charge) for your property, we can then ensure your building follows all the Fire Regulations and has up to date, appropriate alarm systems. • From standard fire alarms to complicated fire alarm systems, you can choose from a range of different products. • We are highly knowledgeable on the British Standards and you can rest assured our fire alarm installation will ensure your property is sufficiently protected. • On-going maintenance plans can be arranged, so you can always have peace of mind that you are receiving the latest, most optimal fire safety plan. Our fire alarm installation is available for a range of different properties: rented accommodation, guest houses, commercial premises and households. With Sussex Alarms (Fire) Limited, we can install fire alarm systems in your property, that when activated will alert your local Fire Department. Have peace of mind that in the event of a fire, your fire brigade can respond even faster with the help of one of our fire brigade connections. In the event of a fire or following a power cut, if your lighting fails the consequences can be devastating. For all commercial buildings and high occupancy residential buildings it is a legal requirement to have working emergency lighting installed into the property. Emergency lighting is a lighting device that runs on batteries as opposed to the main power source. This means when there is a power failure; your emergency lighting will still work and will kick in automatically. Sussex Alarms Limited will ensure your emergency lighting will be operating as efficiently as possible, whilst also complying with current regulations.